U.S. retail dollars for craft beer in 2012 was estimated at $10.2 billion, up from $8.7 billion in 2011. 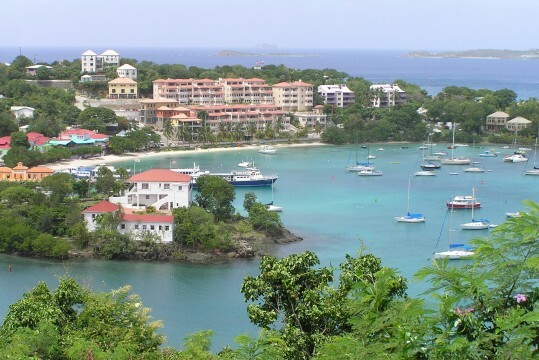 In 2004, on the Caribbean island of St. John, no bar or restaurant was serving, let alone brewing, craft beer. 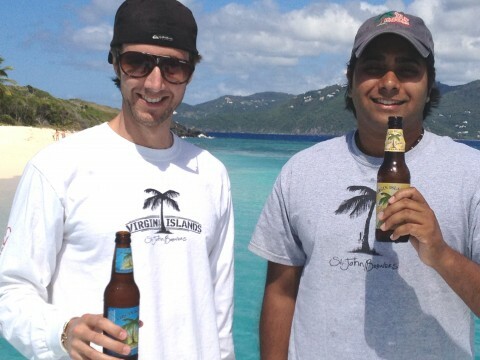 St. John transplants Kevin Chipman and Chirag Vyas decided their new Caribbean home needed the kind of beer they’d grown accustomed to while attending college at the University of Vermont. Chipman and Vyas were receiving plenty of requests for the mango-flavored beer they had concocted using a micro-brewing kit in their quaint St. John apartment. 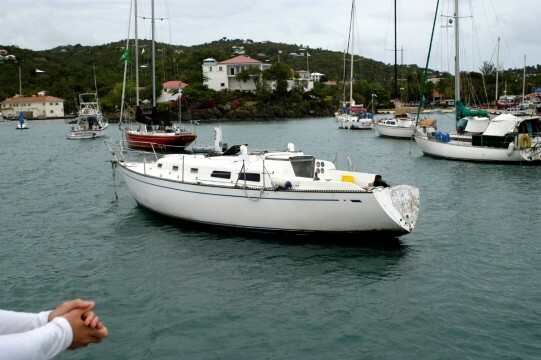 Chipman, a former physical therapist in the states, and Vyas, a support scientist with NASA, had taken bartender jobs to make ends meet after relocating to St. John. The two 27-year-olds decided “we need to do this” and they began distributing their mango recipe craft beer to bars and restaurants on the 19-square mile island. These college roommates turned business partners started hawking their beer from the back of a 1986 Toyota pickup truck. Their beer warehouse was as primitive as their distribution system. “We had 700 cases of beer arranged as couches, chairs, and tables in our apartment,” Chipman said. After starting their new business venture, Chipman and Vyas burned the candle at both ends, delivering beer by day and bartending at night. This mega-hours dedication to their entrepreneurial dream continued until 2006. That’s the year Chipman and Vyas took a financial leap of faith and opened their own liquor establishment. The Tap Room opened for business on the second floor of Mongoose Junction, an upscale 30-year-old shopping and restaurant venue located in Cruz Bay, St. John’s retail epicenter. The shopping center is named after the furry little critters often seen scurrying across St. John’s winding and hilly roads. The new beer and bar business operated under the name St. John Brewers. Chipman and Vyas pushed their business boundaries by exploring new ways to market their beer. St. John’s only craft beer brewing company expanded its business horizons by working with Shipyard Brewing Corporation, a larger stateside brewing company based in Portland, Maine. Chipman and Vyas also negotiated a deal to sell their beer on other Caribbean islands with West Indies Corp., a distributor on the neighboring island of St. Thomas. 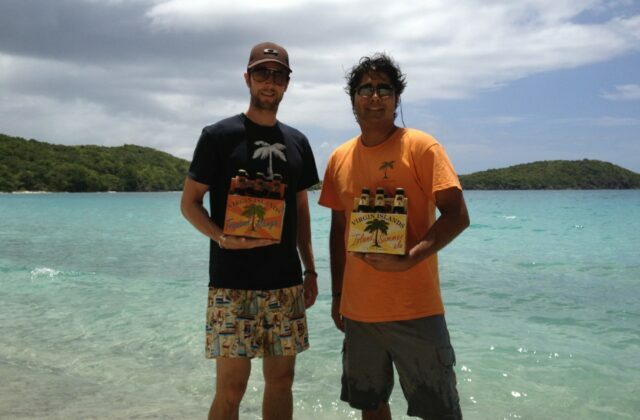 Chipman and Vyas continually pondered how to leverage marketing a beer brewed in a paradise-like setting. Merchandising their brand seemed like a natural next step. With label names like Island Summer Ale, Liquid Sunshine, and Island Hoppin’ IPA, St. John Brewers growing product line would grace t-shirts, caps, glassware, and even boat flags. “When I saw someone wearing one of our t-shirts in the Miami airport, I guess you could say that our label had gone national,” Chipman said. The St. John Brewers website was an ironic business step considering how lean The Tap Room operated in the early days of 2006. “When we first began our business, Chirag and I used to go down to the St. John library to use their Internet. When the bar first opened, we didn’t have a TV or a stereo. Chirag and I were the only Tap Room employees,” Chipman said. Today’s Tap Room payroll has grown to 15 employees. 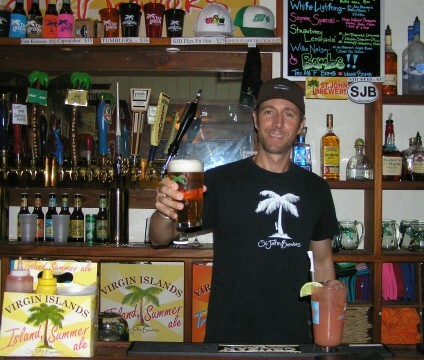 In addition to virtually every bar, restaurant, and hotel on St. John, distribution of the now nine-year-old beer company’s palm tree logo has expanded to seven states including New Hampshire, Massachusetts, Rhode Island, New Jersey, Maine, California, and Florida. St. John Brewers plans to add to their current lineup of four bottled beers and three soda recipes. This kind of growth is especially gratifying considering Chipman and Vyas’ very humble island beginnings. After arriving on St. John in 2001, the two college grads took jobs as restaurant busboys to make ends meet. Their jobs were grand compared to their initial island housing, a boat with no electricity or even a working toilet. “We used to dive off the boat into the Caribbean Sea to rinse off. Every morning we’d go to the grocery store and buy a yogurt and newspaper. Then we’d used the grocery bathroom to brush our teeth and clean up a bit,” Chipman recalled. Business success isn’t something that Chipman and Vyas take for granted. The dynamic duo are constantly reinvesting in St. John Brewers while finding time to educate themselves as businessmen. One way they expand their industry network is by attending annual stateside craft beer conferences. The two entrepreneurs enjoy the reaction they receive from other brewers after revealing where their beer headquarters resides. “We like sharing business stories with other people in the brewing industry. The only difference between us and other brewers is we make beer in paradise,” Chipman said with a smile.